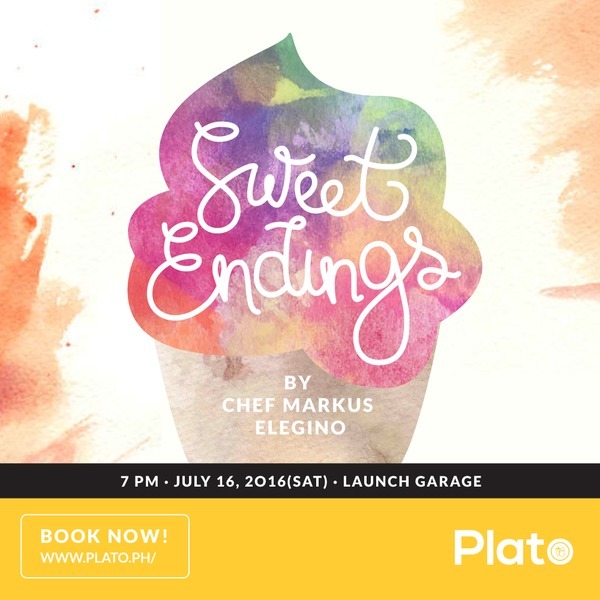 Plato PH celebrates its newest chef, Markus Elegino, with "Sweet Endings"
Craving for desserts but don't know what to get? Sweet Endings may just be the event for you! Startup company Plato PH is happy to announce the newest addition to its growing roster of chefs, Markus Elegino, with an event your sweet tooth wouldn't want to miss. On July 16th, the company is hosting Sweet Endings: a one-of-a-kind dining experience focusing on the aspect which many see as nothing but “icing on the cake”. Dessert may often be overlooked, but to Chef Markus, “dessert is the most important part of the meal because, like they say, save the best for last; it’s the deciding factor if you leave with a smile and everlasting sweet memory.” With the wide variety of desserts to be served on the 16th, Chef Markus and the Plato team hope to leave a big smile on the faces of their customers. Chef Markus Elegino went to college at George Brown Culinary College of Canada where he did his formal training of Culinary & Pastry Art as well as Business Management. He graduated with the Highest Honor as Valedictorian, which got him into the “Ecole Nationale Supierior de Patisserie” National School of Superior Patisserie in Lyon, France where he took the Master Pastry Program for Pastry Art. While in Canada, he worked in companies such as Sugar Tiers Baking Studio & Sugar Artistry, Square Snacks Inc., and Shangri-la Toronto. From then, he came here to the Philippines and opened his shop in Quezon City while simultaneously working as a chef demonstrator for food shows like WOFEX and in universities like PUP. His latest venture, besides his shop, is teaching at ENDERUN International Culinary Institute as a Pastry Chef Instructor Professor and hosting dinners for Plato PH. Plato PH out was born out of Laurence Espiritu's love for cooking and trying out new recipes. He imagined a whole new dining experience that happens in the comforts of the chef's own home. With a lot of hard work, this dream became a reality. Laurence, together with his team, created the first online platform that allows professional chefs to showcase their unique dishes to interested customers. 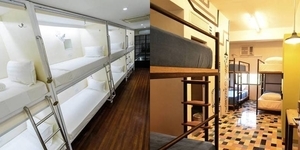 The up-close and personal dining experience that Plato PH offers led to the establishment of an online community for diners and chefs in the Philippines’ local culinary scene. With dozens of dinners filled out every month since its beta release early this year, Plato PH continues to grow not only as a company, but as a community. Even some of the Philippines high-profile chefs now subscribe to the Plato PH experience, tapping into a unique and fascinating dining community. Sweet Endings will be held on Saturday, July 16, 2016 at 7:00pm LaunchGarage- Circulo Verde, Calle Industria, Bagumbayan, Quezon City.